This has been an eventful, yet still, slow week for us. Mostly we plodded along with various school subjects, trying to accommodate Amber's unhappy tummy and intestines. She feels good for a day or so, then awful for a couple of days. Her next GI appointment can't come soon enough. Meanwhile, I've been reading all I can about gluten free diets. I can't wait to start, for both of our sakes. On a good tummy day for Amber, we finally took the many time postponed field trip to the St. Louis Planetarium and Science Center! Due to severe weather several weeks in a row, we have been continually rescheduling the field trip that was supposed to occur during Amber's astronomy unit. Halfway through the Planetarium I remembered to take pictures... duhh. So, no there aren't any pictures of the Mercury or Gemini capsules (real ones that went into space). There aren't any pictures of the cool launch checklist used in an actual capsule launch, nor any of the other space artifacts. Sigh. But, we did get a personal tour of the artifacts section by a very sweet older man, who works for the planetarium. Unfortunately, he became scarce as soon as a school bus load of some of the worst behaved children and their parent leaders arrived. Poor man, he ran for the back room and never came out again. I wish we could have gone with him. 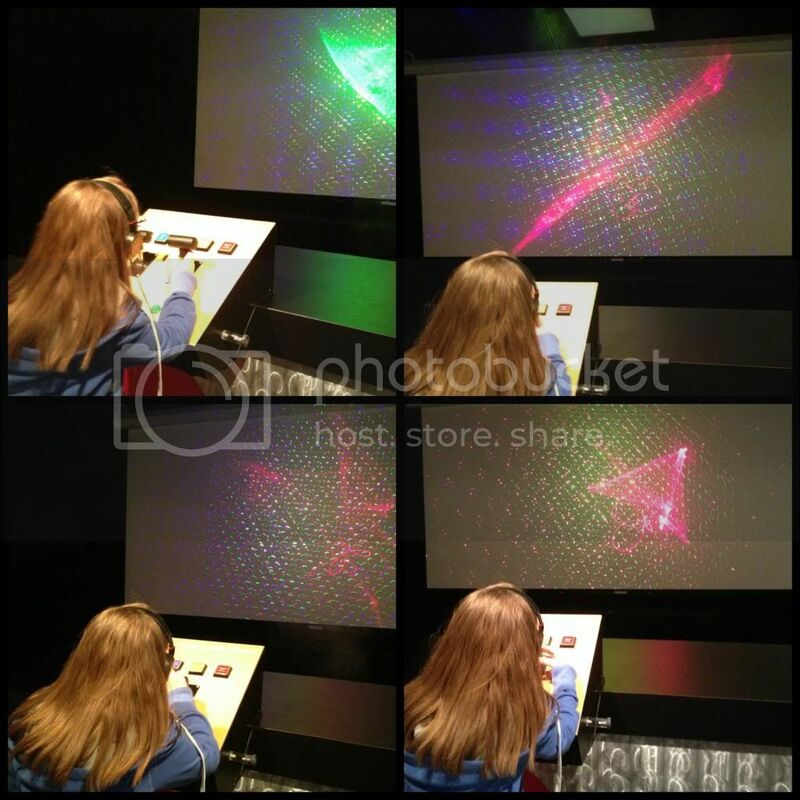 I do have pictures of Amber playing in the laser light show area. She selected music for her light show, Tom Sawyer by Rush, and then pushed buttons and levers to make a customized light show. It was fun to make and cool to watch. 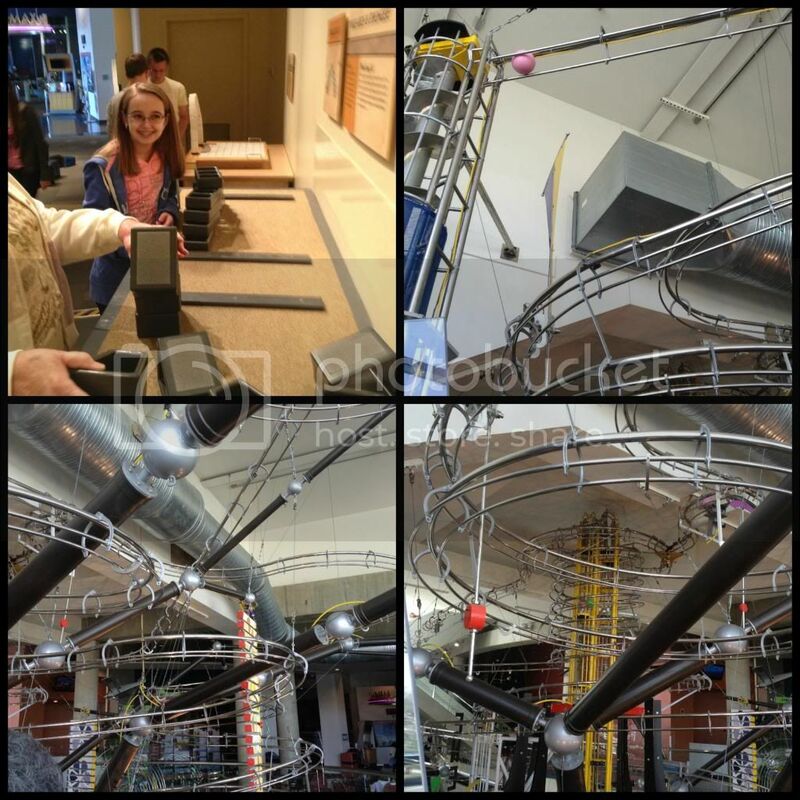 We didn't go too far into the Science Center since our field trip was mainly for the Planetarium, but Amber can't make a trip to the Science Center without watching the huge ball contraption in the center. It mesmerizes her every time. Even my mom enjoyed watching the various ball systems. Mom and Amber building various style arches. There is a whole display on the St. Louis Arch. And, of course, the huge ball contraption. On a not so good tummy day this week Amber had her yearly opthamologist appointment. This time she was actually looking forward to going because she had gotten up the nerve to ask for contacts! After 4 years of wearing glasses, on Tuesday morning Amber put in her first pair of contacts. It was a long awaited day for her and she felt so liberated, especially since it was raining when we left. No drips on her glasses! Unfortunately, the first set of contacts were not the correct contact prescription. Turns out contacts prescriptions and glasses prescriptions are different. They just kinda guess (in a scientific way) at the contacts prescription based on the glasses. I learned something new this week. Thankfully, the contacts fitting fee covers this kind of problem. Amber wasn't able to wear the contacts Wednesday or Thursday because the first set generated migraines and "made the floor wavy". Finally, today we made it back in for another fitting. They found the right prescription and she was set! I had to force Amber to take out the contacts this evening when she had completed her time for the day. She will have to build up wearing time, but it won't take very long until she is wearing them all day. Left is Tuesday, when she wasn't seeing well with them. Right is Friday, when she finally got the right ones. She still has the "I used to wear glasses" look to her, but that will fade over time. Today Amber also graduated from weekly sensory therapy to every other week! It was a such a wonderful achievement, but done with so little fanfare. She has come a great distance in her sensory therapy and I can't hardly believe all the positive changes we have seen in the last 10 months. Amber hasn't had a meltdown since November! These days, I sometimes forget that she ever even had them. Today was Amber's first step in graduating from therapy completely. This phase does not last as long as the initial weekly phase, but we haven't told Amber that. She hasn't quite yet realized that sooner, rather than later, she will be done with therapy and not see her wonderful therapist anymore. 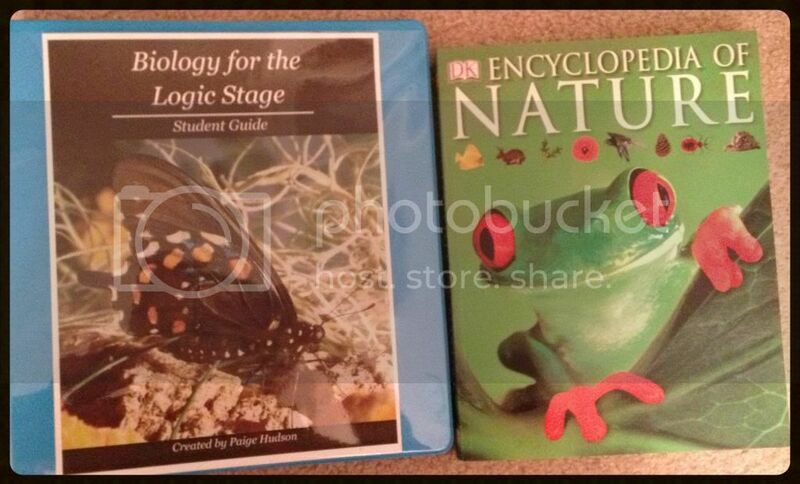 In school we finally started the dreaded biology, hoping to get an early start on 6th grade science. We will run through the summer and fall with biology and plan to finish before January. Amber was excited to use the new curriculum. It's always exciting to get a new book. The excitement didn't last long. The first lesson was on cells. She wasn't enthused, especially after viewing the pictures. Amber and I both have issues with organic "things". They disturb us. I thought it was just me. Just this past weekend, I had a bottle of Diet Caffeine Free Coke and when I opened it the bubbles came up, but they all lined up so neatly in perfect rows around the top of the bottle. It as very weird and organic looking. Amber was standing next to me when it happened. She jumped back and said "Eww.. I don't like the way that looks. It's freaky. Too living-y". That's my girl. We won't even get into my aversion to fish. The gills just totally freak me out! This biology subject is going to be a trial for us both. I foresee it being "Biology-lite". Also due to Amber's often crummy-tummy she has been working on a lot of history, because it can easily be done while reclining. Miraculously, we are more than caught up in history. We originally had a very full and rigorous plan for history, but lately it looked like we were going to have to sum up the late 20th century pretty fast. As of today, we can enjoy the 1950's and forward at a more appropriate pace. Overall, it was a good week academically with just the right amount of excitement thrown in. Next week threatens to be a bit stressful, so I plan to relax this weekend and store up happy memories for the coming week. 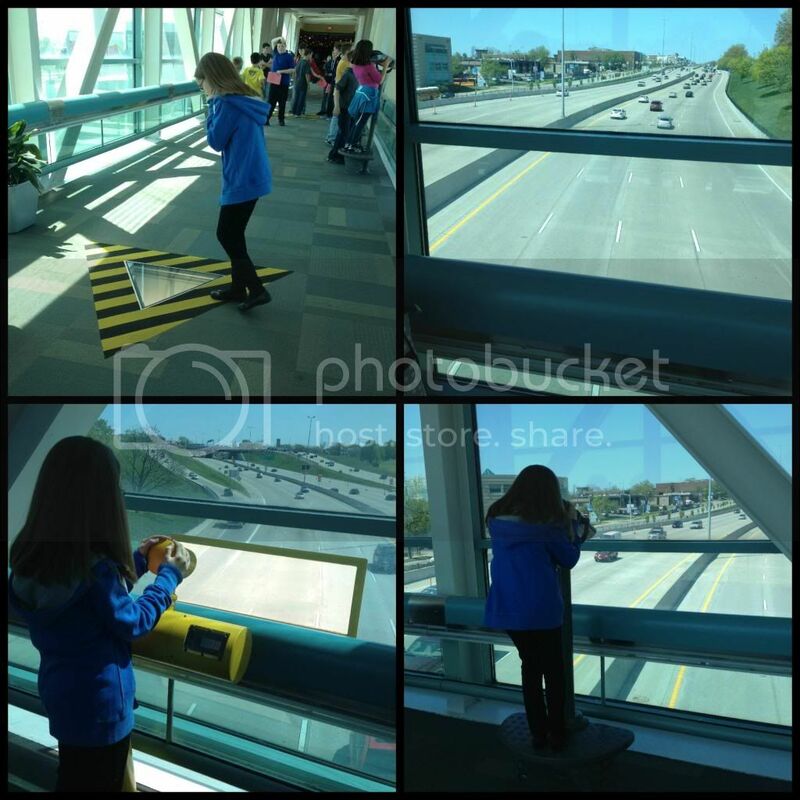 I've been there - the St Louis Science Museum! I remember the bridge and cut-outs...And the ball "Mouse Trap" thing. (My kids would sit and be mesmerized too. Something calming about those structures! :sniff sniff: She looks like a TEENAGER without the glasses! She's brave! I had contact for a while and I SO hated putting them in and taking them out. When we stopped OT it was kinda a sad day for us. For 2 years his OT was a major part of our lives. We gave her a piece of a plant that's been a part of our family for 5 generations as a going away present. It's a GOOD thing to be discharged from therapy, but a little sad too. I'm glad you finally got to the planetarium! sounds like a great field trip, one that we'd love! Hope next week isn't too hard on you guys! Thanks for joining us at Friendship Friday. I really love to hear from you! Good for her, braving contacts. I never did. I hope she has more good tummy days next week. Ok, I had to go put on some Rush particularly Tom Sawyer. I want a bridge like that. My kids would be up there for hours. We have one of those ball drop contraptions at our science center as well. Quite mesmerizing even for us adults. She does look so much older in the contacts. It is taking her dad and me a while to get used to it. 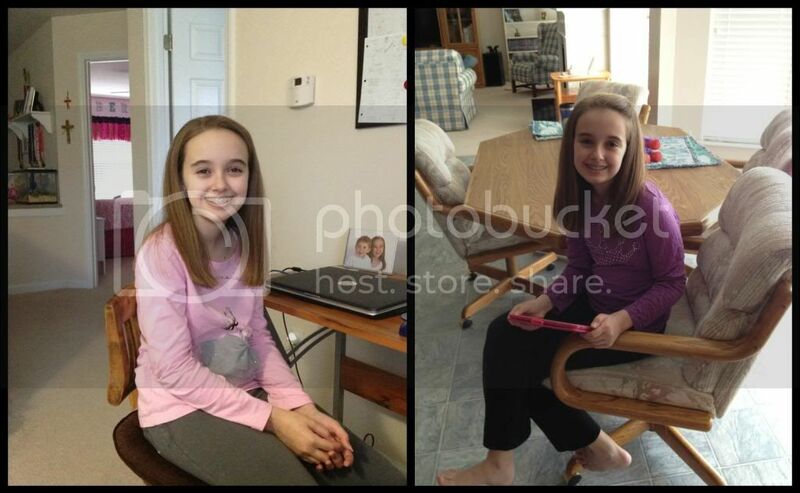 I am going to have to replace the header pictures soon - she's grown 5 inches, is almost done with braces and no longer has glasses. That's a lot of change in less than a year! Sorry to just get a chance to comment Christy. First of all YAY for the contacts! I know she will love them. She is beautiful with them. [Of course she was beautiful with her glasses too!]. Secondly that place looks very much like our Space and Rocket Center. and that bridge!! I love it and Keilee would want to sit there and just watch. I hope this week is finding her feeling better in her tummy! Also hope Biology is a good experience! Hope you are both having a great week!